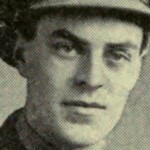 Gunner, Royal Garrison Artillery, 279th Siege Bty. 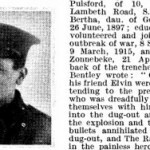 Husband of Florence Cairns (nee Penton), of 47 Courland Grove, Larkhall Lane, Clapham, London. 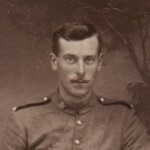 When he enlisted on 26 April 1916, Norman Cairns was a butcher, living at 38 Bromfelde Road. He was 5 feet 10 and a half inches tall. 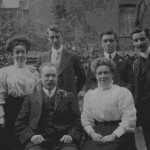 He married Florence Penton on 26 December 1914 at the Wesleyan Chapel on Clapham Road. He was returned to the field (date illegible). On 19 December 1917 the Officer in Charge of Records wrote to Norman Cairns’ widow enclosing her husband’s personal belongings: a coin disc, a pocket book, a religious book, penknife, cigarette holder and cigarette case. The British War and Victory medals were sent on 8 September 1921. In his service declaration Norman claimed he had no siblings. However, the 1901 census shows that he had both a brother and a sister. (The 1911 census shows that Norman’s mother Mary had 8 children, 6 of whom survived in 1911.) 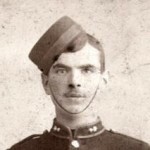 In 1901 Norman was 7 and living at 34 Thorparch Road. His father, John D. Cairns, 54, was an engine fitter born in Newcastle. His wife, Mary, 51, was born in Stratford, Essex. 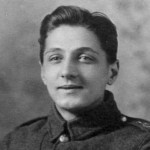 Norman’s brother Frank J. Cairns, 18, was a grocer’s assistant born in Fulham; his sister, Florence Blebta, 31, was born in India. Her two children, Franz Blebta, 7, born in Clapham and Wenzl Blebta, 5, born in South Lambeth, lived with her. Son of Henry and Florence Blebta, of 63 Lynette Avenue, Clapham, London. His age is given as 29, which means that he is probably not Wenzl Blebta, who was born in 1896, but may be related (or that the age is an error). In 1911 Norman Cairns, 17 and working as a butcher’s apprentice was living at 9 Gaskill Street, Larkhall Lane, London SW4, where the family occupied 3 rooms. 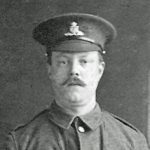 His father, John Dickinson Cairns, 64, was an engine fitter and night watchman for the London and South West Railways. He was born in Newcastle upon Tyne. Mary Cairns, 61, was born in Stratford, east London. Franz Blebta, 17,a butcher’s apprentice, and Wenzl Blebta, 15, unemployed, grandsons of John and Mary, also lived in the household. Florence Blebta, 36, mother to Franz and Wenzl, was working for the Shillington family as a live-in housemaid at 31 Spencer Park, Wandsworth. She married Henri Wenzl Blebta in 1895 in Lambeth. 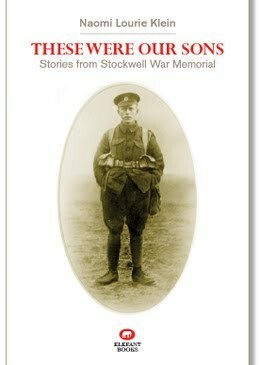 He does not appear on the 1911 census, although he is named in the Commonwealth War Graves Commission database.